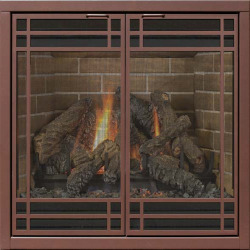 Direct vent gas fireplaces are a popular option in today’s home. Although they are highly efficient, style is often lacking. Choose one of our direct vent reface options to give your home the style you deserve. 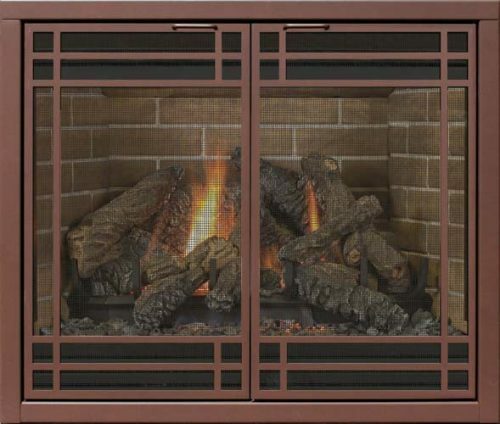 Direct vent fireplaces have sealed glass fronts that can become extremely hot. Magnetic installation of a new door makes it simple to keep loved ones and pets away from the hot surface of the fireplace, yet meets all ventilation requirements of the fireplace manufacturer.